Fun and laughter? Prayer? Caring and Sharing? Worship? 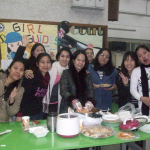 These are some of the characteristics of the Philippine Fellowship. We meet to bless and encourage one another in Jesus. We are integrated into all the aspects of our church including worship (the dance team and leading singing), service, prayer, welcoming, communion, children’s work, etc.. Need a place to call home while in Hong Kong? Need a loving family? 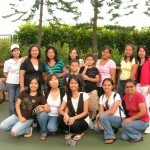 Come join our Philippines Fellowship for FREE LUNCH and worship every Sunday afternoon. It meets in our Church Centre in Shek Mun after the Sunday Services. We hope you can join us. You will receive a very warm welcome!